Experience the excitement of Las Vegas Stud Poker from the comfort of your home! 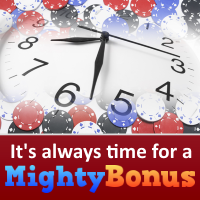 This five card poker game, similar to Mississippi Stud, delivers table game realism without .. VERSION 1.2d UPDATE: You now have Tooltips explaining dice hands as well as an UNDO button! Alexander finds hi.. Guess next card game with new features: 2 players game, select the card you want, select more than 1 deck and ..
Funky Monkey is a groovy 3-reel, 1-line Playtech and 2.500 coins Jackpot slot machine. Spin three drum symbols..
ManKatha is a very simple and popular card game, mainly played in south India.It's also known as "Ullae, Veli..